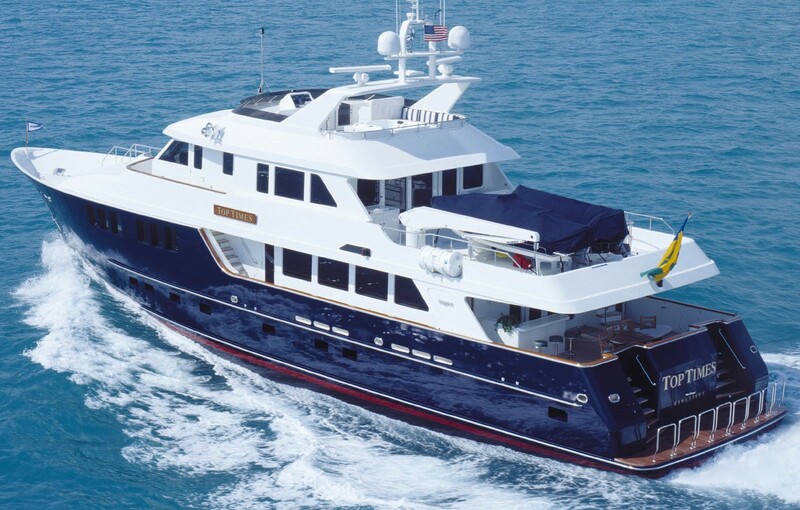 M/Y LIFE OF REILLEY is a Burger 34.47 meter (113.1 Foot) luxury motor yacht which styled along the lines of an expedition/discovery yacht. 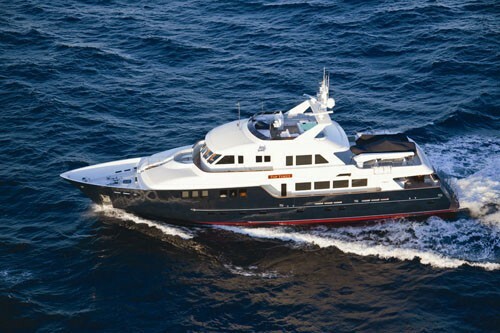 Her full-displacement hull is ideal for comfortable passages and economical fuel consumption. 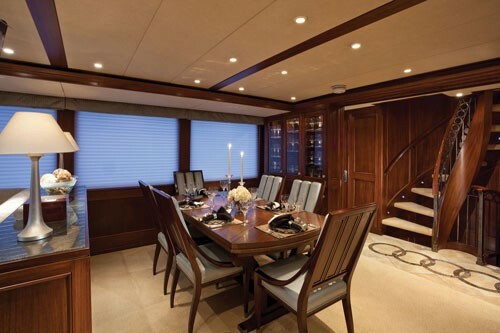 The yacht’s expansive interior feels more like that of a 120 yacht, with a dramatic three story staircase and exceptionally wide 25' beam. 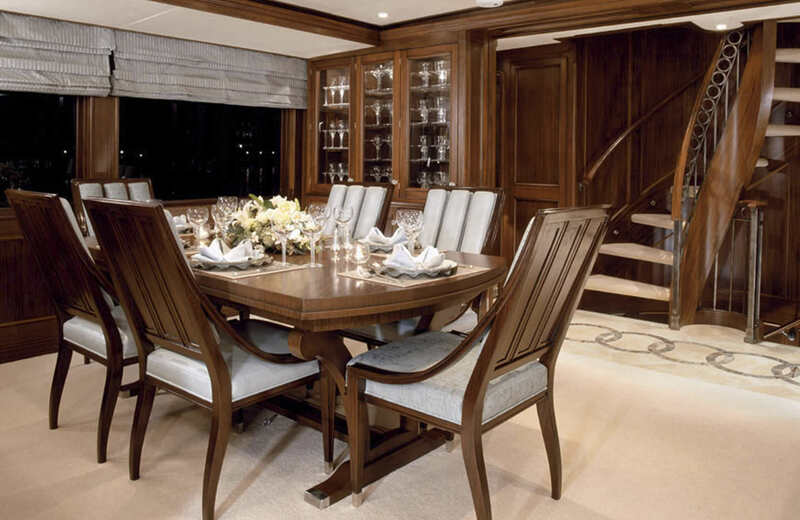 She has formal dining for eight or casual alfresco on the aft deck. LIFE OF REILLEY (ex TOP TIMES) provides numerous outdoor socializing areas with exquisite views from the fly bridge and hot tub. Plenty of toys and sophisticated entertainments system will keep everyone happy. 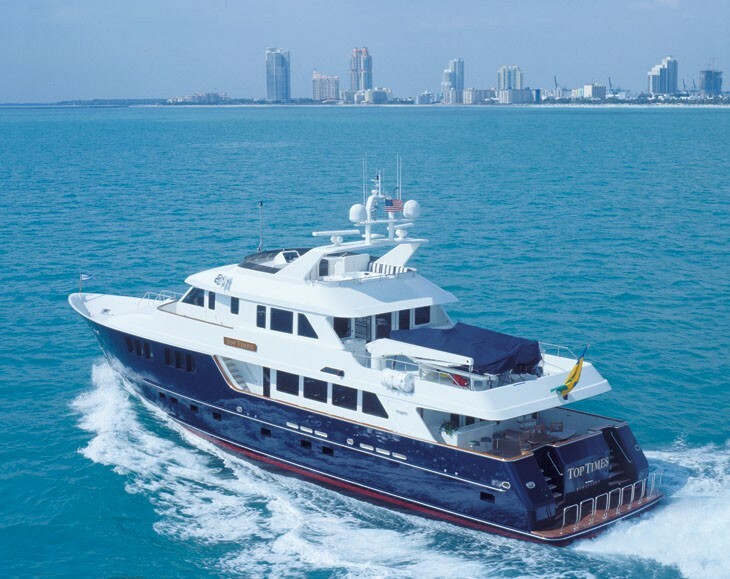 This yacht has excellent sea keeping abilities underway, and at anchor, the Zero-Speed Stabilization feature is a remarkable comfort enhancement. 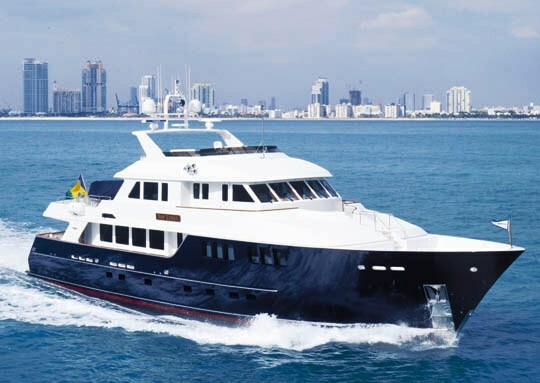 This was Burger’s first foray into the expedition/discovery yacht world as a full-displacement hull with a round bilge that is ideally suited for yachts intending to make long passages with low power consumption. 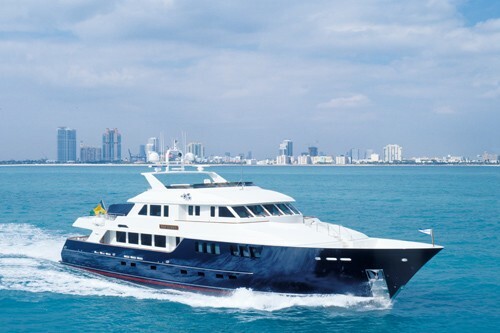 This yacht has excellent sea keeping abilities whether underway or using the computer-controlled Zero-Speed Stabilization feature while at anchor or fishing. Amenities will include a dramatic three story staircase, a sun deck with hot tub and helm station; a large family room/sky lounge; a gourmet, commercial galley; a full-beam main deck level master suite; four very large en suite guest staterooms below and crews’ quarters for five including an aft engineer’s suite. 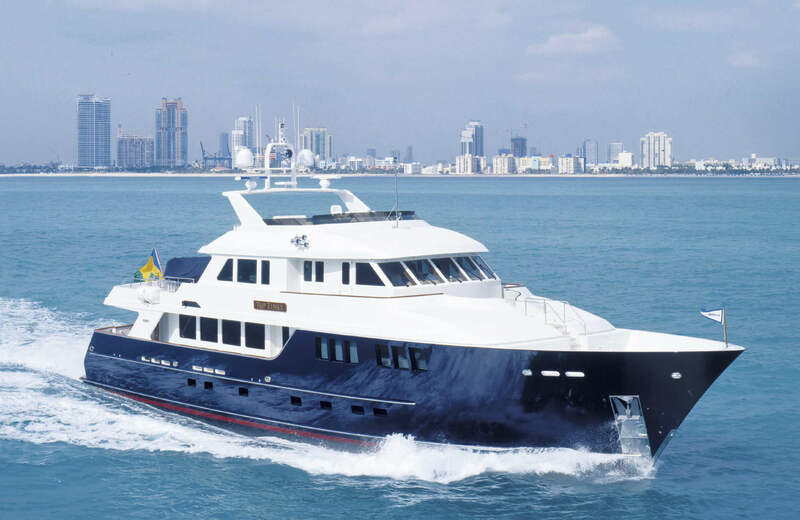 LIFE OF REILLEY is a beautifully crafted and spectacular motor yacht which is Burger's first expedition yacht and the first full displacement hull in the company's modern day history. 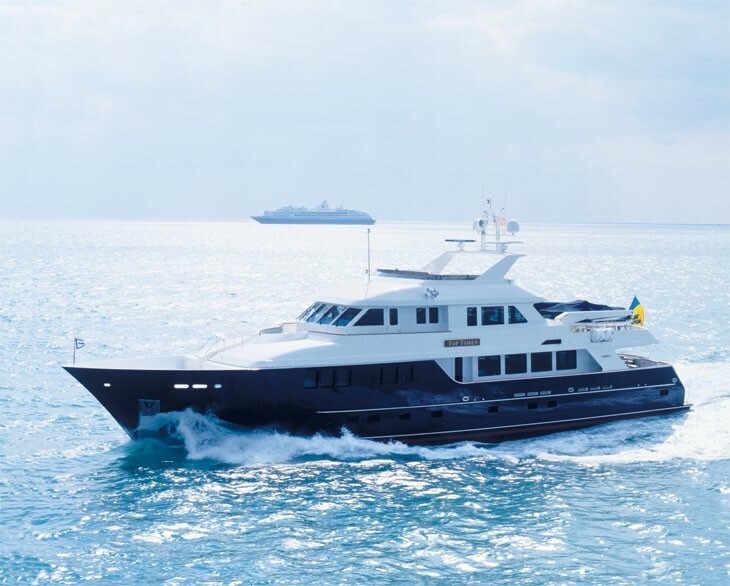 She boasts a classic, yet contemporary interior to complement her bold expedition, luxury yacht exterior. 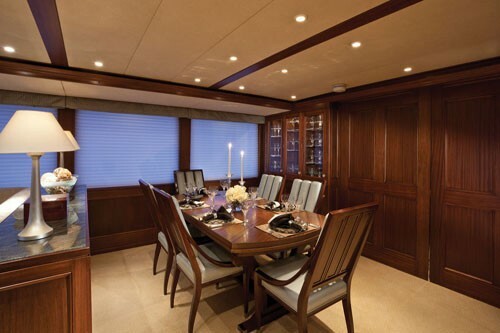 Here Burger Yachts have designed a round bilge, full displacement hull that is suited for long passages, as she boasts low fuel consumption, or short hopes in comfortable luxury. 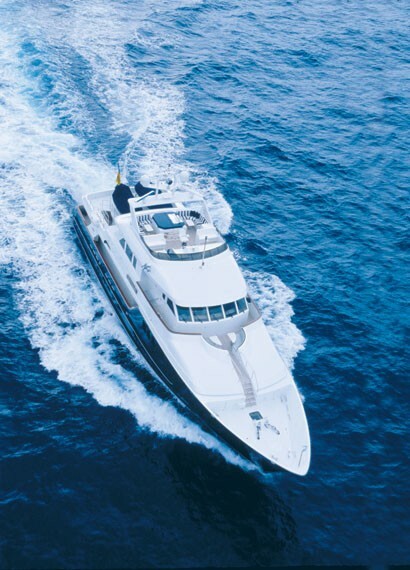 Due to a computer controlled, Zero-Speed Stabilization system, the hull offers exceptional stability in heavy seas or at anchor. 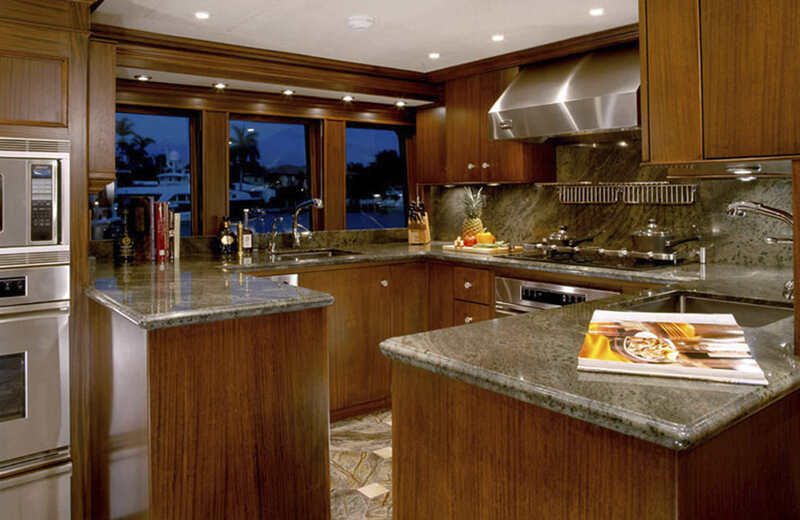 The yacht provides a superb balance of function, style and class. She is beautifully balanced and there is simply is no bad angle from which to view this yacht. 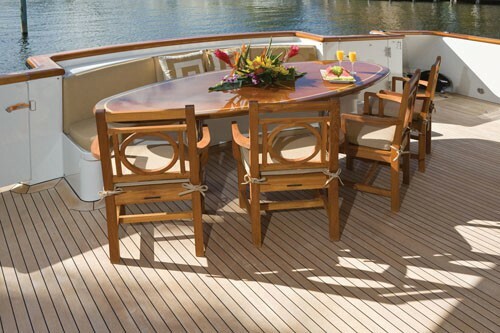 The Aft Deck is fully covered and offers a built-in dining table with seating along with a wet-bar with fastened stools. 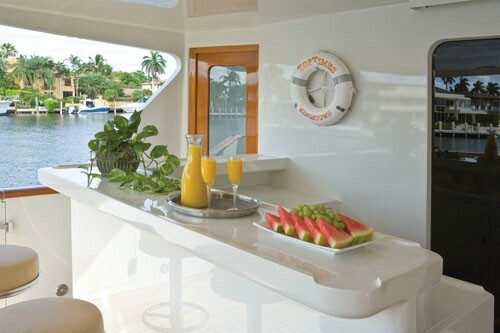 The aft deck is the most popular entertainment area on any boat and Top Times provides more than ample room for friends. The Portuguese Walk forward of the bridge incorporates dual settees for open-air bow banter and a good vantage point to keep watch over cold-chunks gone astray. 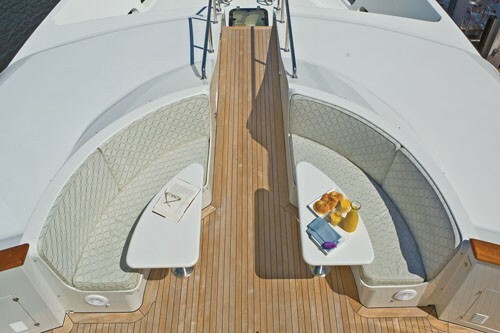 TOP TIMES's sky-Deck includes a sun deck with wrap around seating. 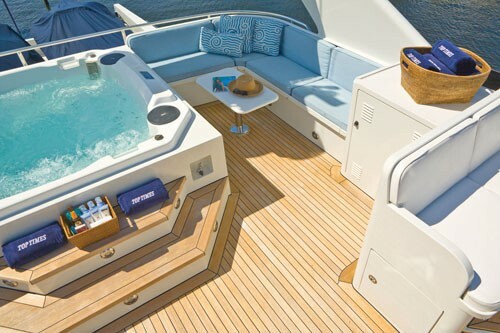 The aft mounted hot tub Spa Pool integrates everything from head-rests to drink holders. In the off-season, these tubs can double as a good storage compartment too. The Foyer in the sky lounge is out of this world with its simulation of stars and space with a SuperNova casting a single concentrated beam on a globe of the earth. The many stars that make up the overhead lighting contribute to a soft illumination of the staircase. 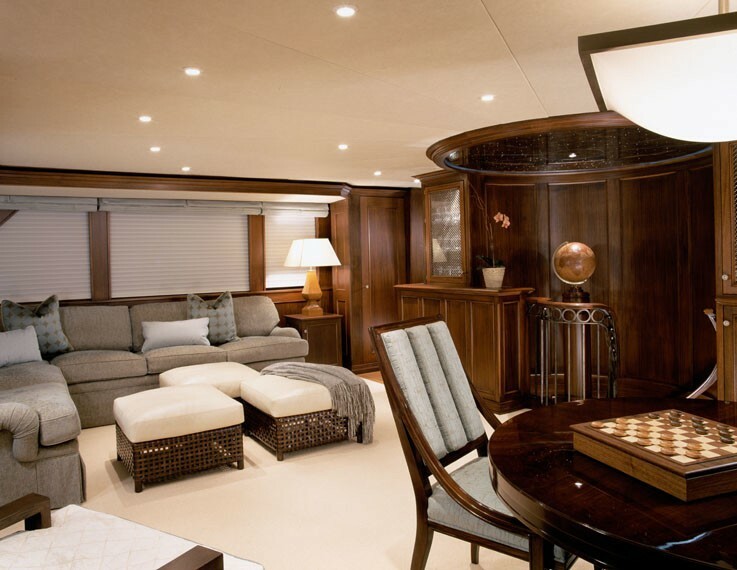 Her sky lounge is rich in all the comforts of home, with ottomans free to float around the room to be positioned as needed. 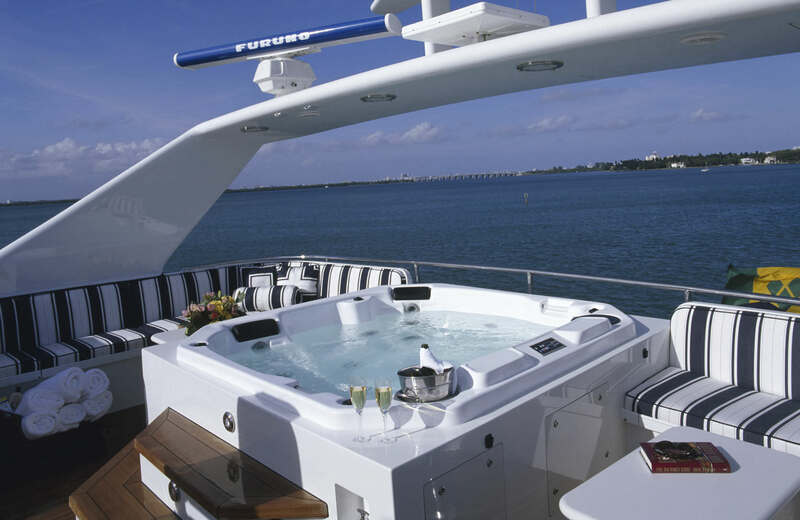 This lounge provides a 270 degree view aft which is only obstructed by something even more fun to look at… water toys on the aft deck. 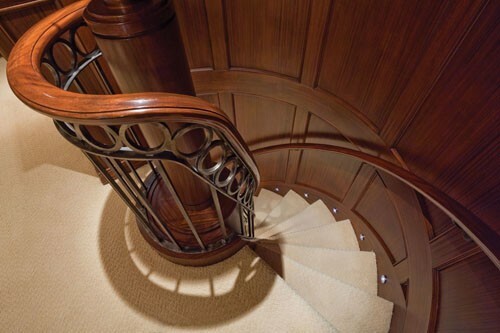 The spiral Staircase, from the main deck to the sky lounge, illustrates some lovely wood-bending and there is an 180 degree twist in the laminated planks over a distance of less than 8 feet. 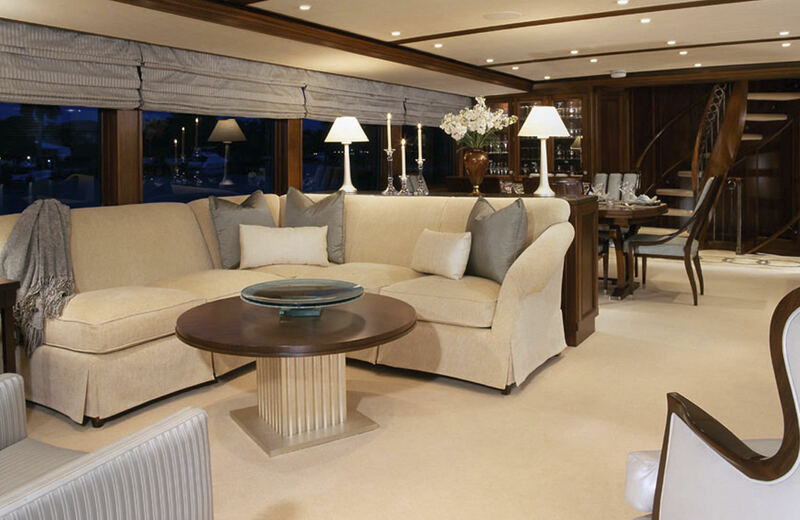 The Salon yacht's main saloon reflects classic and understated elegance. Whenever you’re onboard a Burger, the lineage is undeniable... just wonderful woodwork and a sense of comfort that Burger manages to capture and repeat with each vessel built. 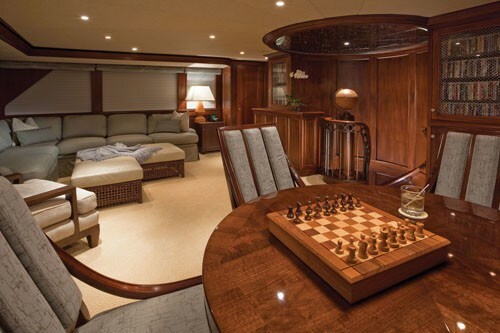 She also has an aft saloon which shows the attention to detail by the interior designer... the furnishings look as though they were carved from the same timber that dresses the rest of the room. 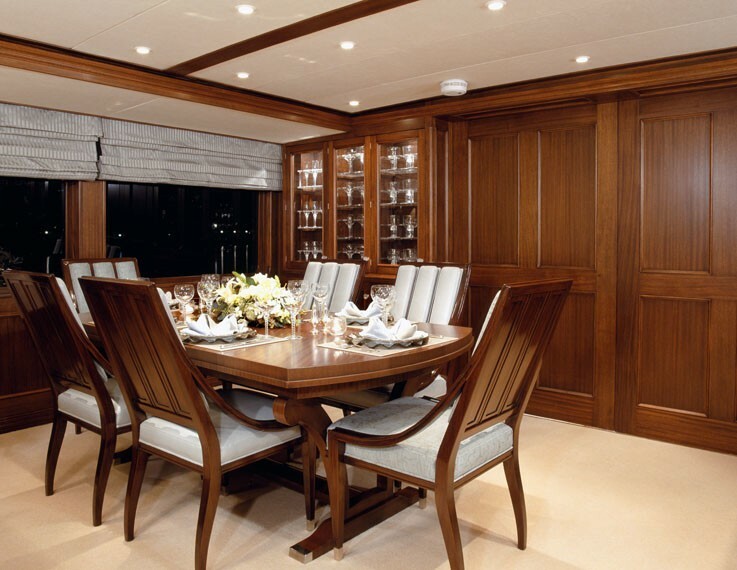 A built-in hutch to port puts the china and crystal close at hand. 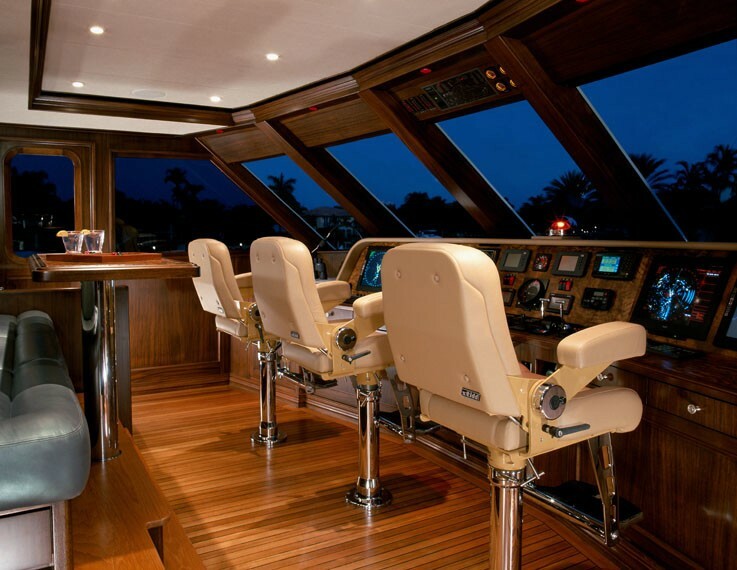 To starboard, a full service bar is integrated. Forward of the dining area, the staircase and foyer feature sliding doors that close-off the salon for quiet dining. 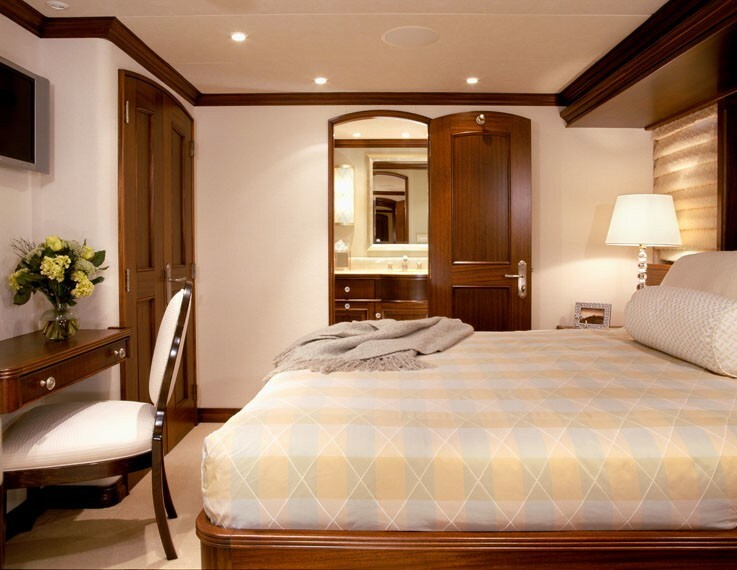 LIFE OF REILLEY offers accommodation for up to 10 in 5 cabins. 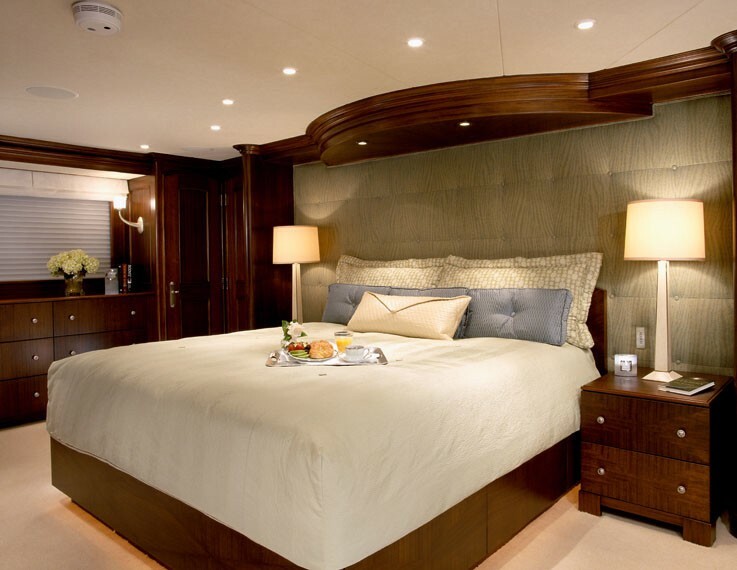 The on deck Master, two VIP queens below decks plus two twin staterooms can comfortably accommodate a family up to 10 guests. 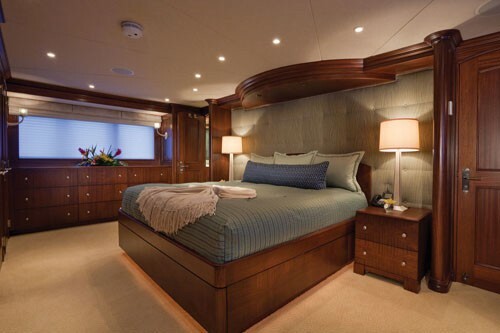 She boasts a full width, main deck, Master Suite and a beam of 25 feet, this is not your average bedroom-on-a-boat. It’s the size of a salon on most boats and it’s located on the same level! 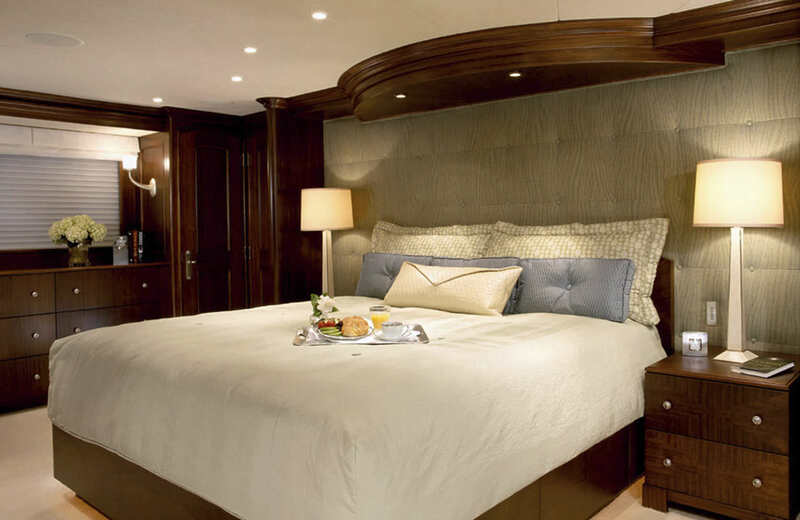 VIP stateroom is simply elegant and classic Burger tradition, it is straightforward with little to encumber movement about the cabin. 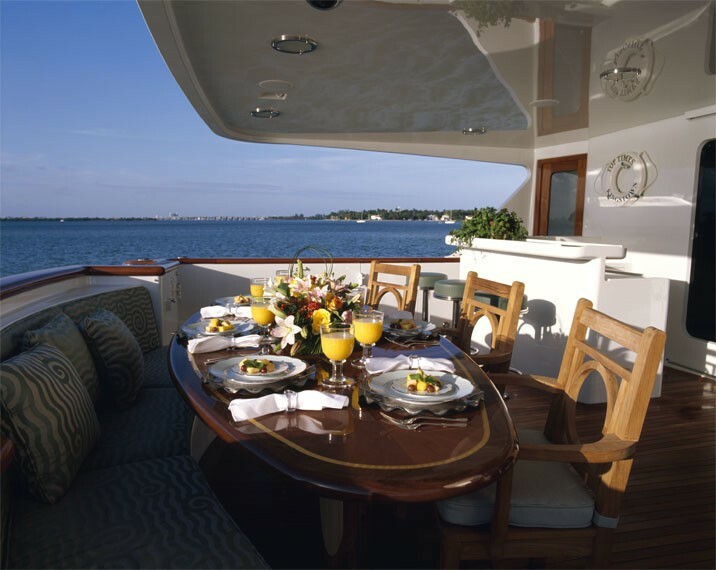 Guest Accommodation on board motor yacht LIFE OF REILLEY consists of 5 cabins for 10 guests. 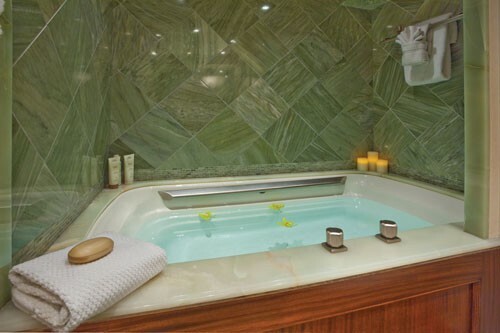 Her Master suite located on the main deck has a king size bed, his and her en suite with tub and a separate shower. 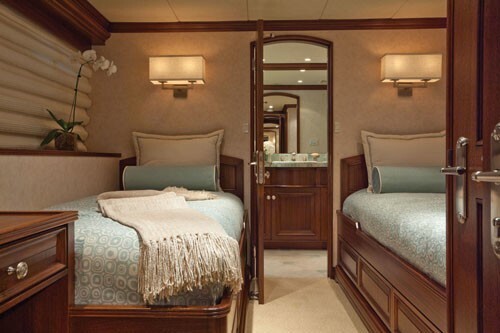 The remaining cabins below decks include 2 VIP cabins each with queen size bed and en suite with shower and 2 Twin cabins each with 2 lower berths and en suite with shower. 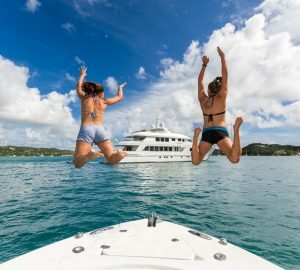 M/Y LIFE OF REILLEY has a wide range of Tenders and Toys including an 18 ft Novurania with a 115hp Yamaha outboard, a 16.5 ft Compac Sailboat, a Wakeboard, Kneeboard, tube and waterskis, Snorkelling and fishing gear, 2 Mountain bikes and 2 Metropolitan Scooters as well as an on deck Spa Pool , Barbecue and Wet bars. 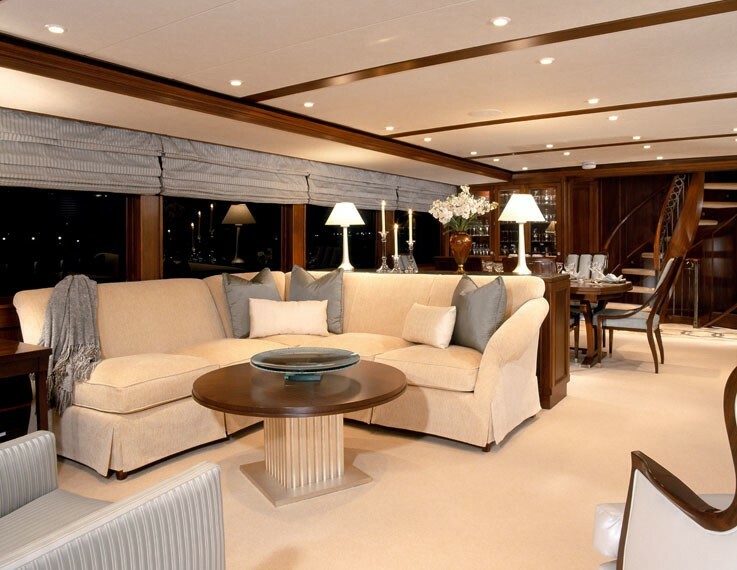 The yacht also offers Zero Speed Stabilizers for comfort enhancement. 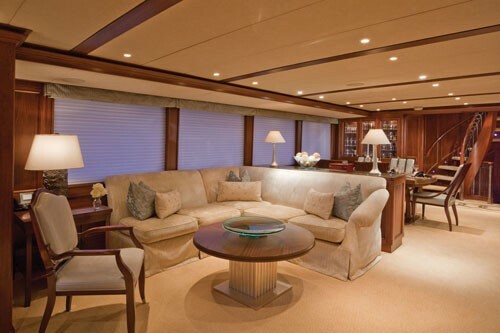 Audio Visual Equipment and Deck Facilities onboard include Sat.TV, DVD and surround sound in all staterooms. 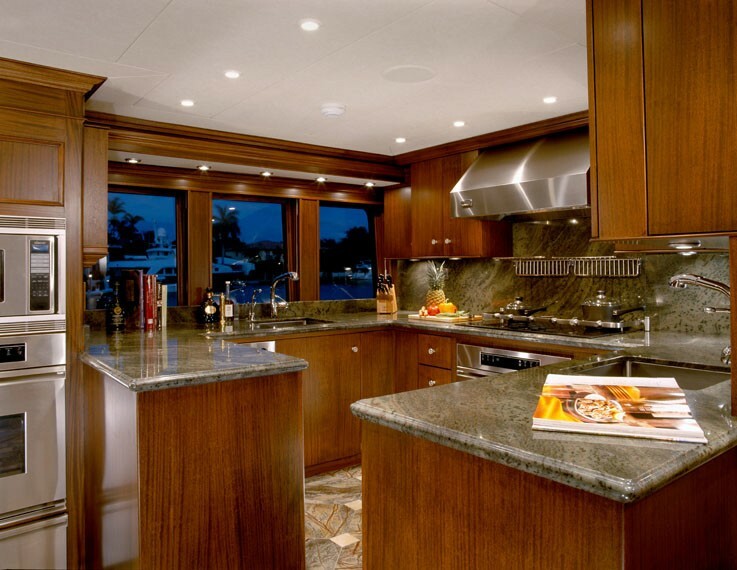 Centralized DVD and CD library accessible from each flat screen monitor and audio system throughout the boat. TOP TIMES also carries a Satcom, and Cell phone on board.